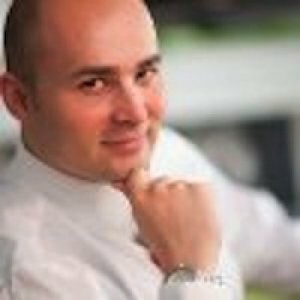 Claudiu Popa is a dynamic speaker who brings attitude, passion and character to each engaging event. In his real life he helps the world's best companies protect their most valuable assets. His unique background and influence in the industry make him a trusted risk advisor to leaders and a respected expert to the media. He is also a published author, with high profile titles ranging from enterprise risk governance to small business security and privacy. His work is a continuous process of helping to safeguard the world's most important currency: information. A rich personal and professional background empowers him to advise at the highest levels, on matters of technology security and physical protection, privacy rights and risk governance, accountability and reputational impact. Throughout the process, he builds strong relationships, helps solve real-world problems and gains the trust of his audience. The sensitivity of the work offers invaluable insight into how risk-based decisions are made, how governance impacts accountability, reputation, culture, and how that culture impacts the performance of each and every enterprise. That readily applicable trove of relevant knowledge is now available to select audiences. Without compromising confidentiality, Claudiu Popa brings his passion for knowledge sharing to discerning groups, having spoken at all major industry events, presented courses, seminars, gala keynotes and numerous other notable events. He continues to be eminently approachable, welcoming audience participation and comments at every venue. His broad social media profile (www.Claudiu.pro) is matched by an openness that affords him close contact with readers, listeners and viewers alike. All are testaments to his dedication to a personal and professional passion for sharing knowledge and offering lessons learned from helping leaders to protect the most valuable intangible asset in the global economy. The needs of today's organizations to remain competitive on the world's stage are outpaced by the rate of change in enterprise information management, global compliance and regulatory pressure. How do you compete? In this energetic talk Claudiu Popa walks the audience through the 9 elements of risk control and enterprise change, elegantly distilling the substance of the talk: managing big data. With integrity. With commitment. With the right vision.